Demand for Renewable energy, also known as alternative energy, is growing rapidly. Alternative energy is generated by using renewable energy resources such as wind, solar energy, and hydro energy. Cables that are required to transfer the generated electricity at the renewable power plant are called alternative energy cables. Alternative energy power plants such as offshore wind farms or solar farms are primarily located in difficult weather conditions such as desert areas. Therefore, cables required for such applications are specifically designed to bear weather conditions they are exposed to. Enel, through its renewables subsidiary Enel Green Power Germany (EGP Germany), has signed an agreement with German wind energy company ENERTRAG AG and Swiss energy storage solutions company Leclanché SA to build and manage a 22 MW lithium-ion battery storage plant in Cremzow, in the German state of Brandenburg. The project is EnelТs first storage plant in Germany and its construction will involve an investment of around 17 million euros. Japanese telecoms group KDDI is anticipating the development of offshore windfarms with the order of a vessel equipped not only for fibre optic cable installation and repair but also for laying subsea power lines. David Tinsley reports. Enel, through its Brazilian renewable energy subsidiary Enel Green Power Brasil Participações Ltda. ("EGPB"), has begun operation of its 103 MW Horizonte solar park, which is located in the municipality of Tabocas do Brejo Velho, in the north-eastern state of Bahia. Partex Group, one of the largest conglomerates in the country, inaugurated a cable manufacturing factory at Bandar in Narayanganj yesterday. PEEK and X-ETFE are just two of the many materials we can mention when it comes to special material cables. And special materials have special requirements for the cable production process. The installation of the South Atlantic Cable System, the first direct fibre link between Africa and South America, is nearing completion. Prysmian Group, world leader in the energy and telecom cable systems industry, has been awarded a contract worth around И40 million for a new submarine cable connection between the isle of Capri and Sorrento (Naples) following a European call for tender. 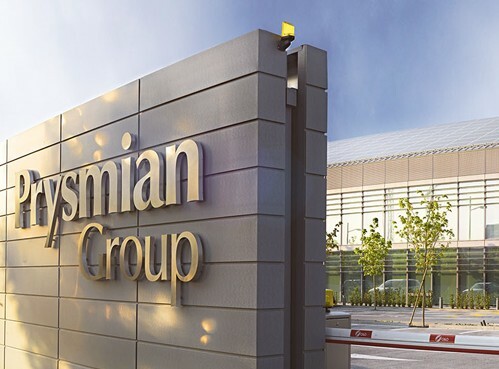 Prysmian Group and General Cable Corporation today announced that they have entered into a definitive merger agreement under which Prysmian will acquire General Cable for $30.00 per share in cash. The transaction values General Cable at approximately $3 billion, including debt and certain other General Cable liabilities, and represents a premium of approximately 81% to the General Cable closing price of $16.55 per share on July 14, 2017, the last day of trading before General Cable announced its review of strategic alternatives.